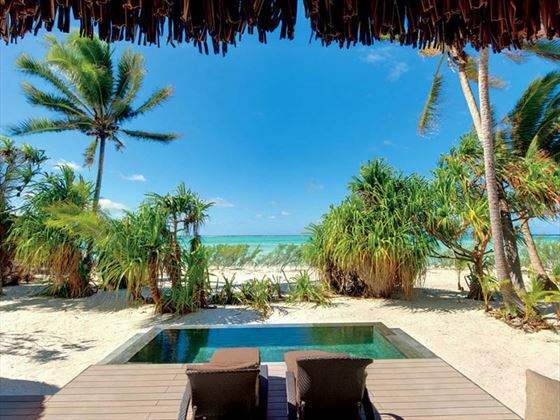 Eco-friendly, secluded, laidback and luxurious - The Brando is one of our favourite hideaways in Tahiti, and for good reason. 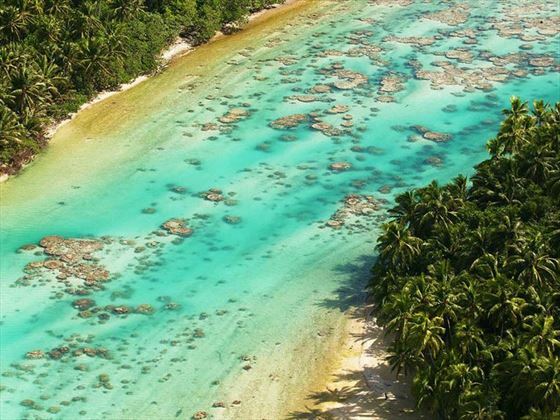 Hidden away on the naturally stunning Tetiaroa Atoll; a beautiful destination consisting of a dozen small islets just 30 miles from Tahiti's main island, the resort enhances that castaway island feeling we all desire. 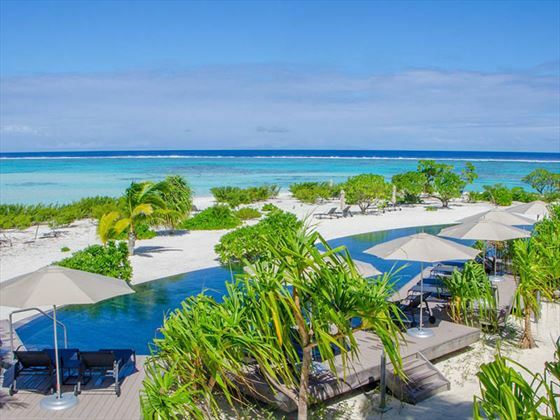 Along the breath-taking white sand coastline you'll find 35 luxury villas, all offering amazing outdoor decking areas and their own plunge pool. 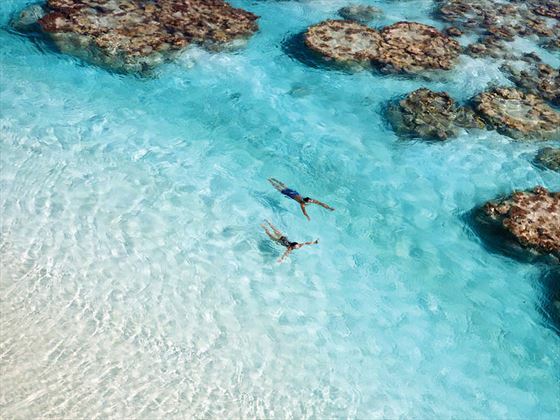 Choose from one, two or three bedroom villas, overlooking the crystal-clear lagoon and offering plenty of room for couples and families alike. All villas boast a living room, an outdoor tub and a media room, but the two and three bedroom villas offer much more space, as well as a large dining area and bigger al fresco space. A daily spa treatment is included each day per villa. Dining and relaxing here is just as sophisticated. Both restaurants offer elegance and world-class cuisine, whether you choose to dine on Polynesian fare at the Beachcomber Cafe, or classy French cuisine in Les Mutinés by Guy Martin. We love Te Manu Bar, a unique venue where you can sip heavenly cocktails whilst sitting up in the treetops. 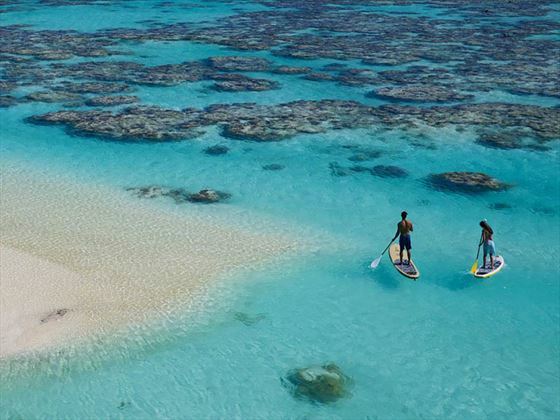 Tahiti's resorts are renowned for their leisurely activities, and The Brando is no different. 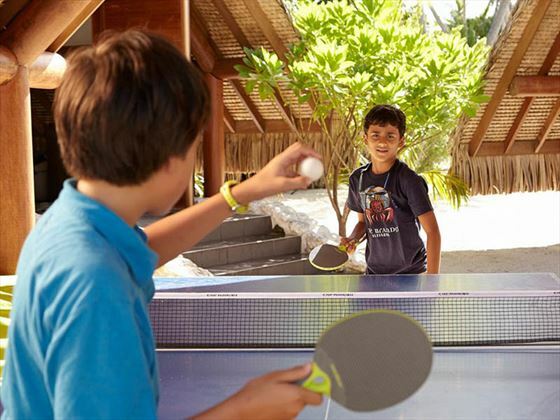 You can choose to relax or entertain on your spacious outdoor deck, or you could wander along to the beach for a serene afternoon of paddle boarding, snorkelling, and kayaking. One Bedroom Villa - These gorgeous 96sqm villas are serene and secluded, with large floor-to-ceiling glass doors evoking the feeling of bringing the outside in. Boasting a classy living room that opens out onto a private terrace, you'll also be treated to your own private plunge pool, and be only moments away from the beach. Also featuring a media room to watch TV or listen to music, a walkthrough dressing area, a master bedroom that overlooks the lagoon, and an al fresco bathtub. 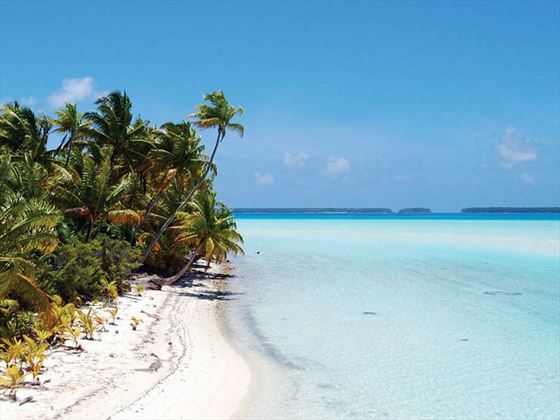 Two Bedroom Villa - These divine 168sqm villas adopt a charming island style, with thatched roofs and idyllic ocean views. These villas feature the same amenities as the one-bedroom villas, but with added extras. These include a larger living space with a TV, a private dining room with seating for six, a kitchen, and a beautiful two-tiered deck. Both bedrooms feature an outdoor bathtub and a dressing area, with one bedroom upstairs and the other downstairs. Three Bedroom Villa - These villas are ideal for large groups of friends or for a family getaway. 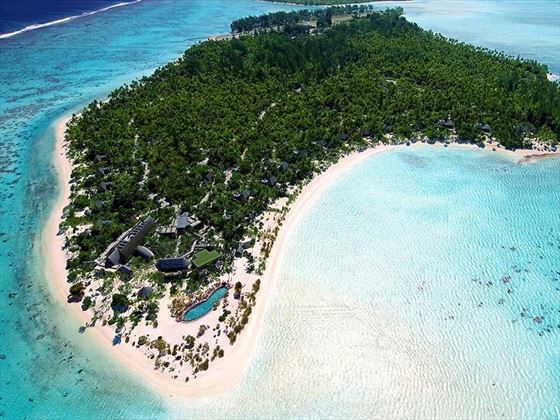 With thatched roofs and easy access to the white sand beach, these 246sqm retreats have the same amenities as the two-bedroom villas - just at a larger scale. You'll find the third bedroom attached to the main villa via an above-ground walkway, featuring a dressing area, a bathroom, and an outdoor bathtub. The outside deck is more spacious too, perfect for entertaining. Beachcomber Cafe - A charming restaurant, boasting amazing lagoon and ocean views as you tuck into flavourful Polynesian-inspired dishes and classic French fare. Choose to dine al fresco on the beach, or inside for some shade. Les Mutinés by Guy Martin - This is a sophisticated and intimate restaurant, surrounded by a moat to create a sense of floating on the sparkling lagoon. Here you'll find a first-class wine cellar and a menu that enhances the elegance of Le Grand Véfour - one of the most renowned restaurants in Paris. Te Manu Bar - You'll find this charming open-air bar on the second floor, treating you to divine ocean and sunset views as you relax either in the main lounge, or in one of the private tree-top seating areas. Bob's Bar - A laidback beach bar perfect for relaxation and cocktails right by the ocean's edge. The bar was named in honour of Marlon Brando's former employee, and all others who work in the past, present and future of The Brando.